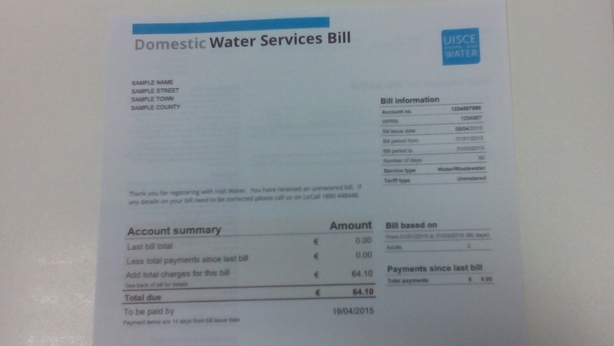 The European Statistical Agency, Eurostat, has ruled that Irish Water is a non-market agency controlled by government. As a result it has to be classified as part of the government sector in accounting for debt and deficit figures. The Government had hoped it would be treated as a state owned commercial entity, enabling it to move Irish Water off the Exchequer’s balance sheet. This morning the Government said it was disappointed that Irish Water had not cleared the market corporation test - the requirement that an entity get more than half of its income from non-government sources. However, Eurostat's rejection of the case to remove Irish Water from the government books - thereby improving debt and deficit figures - is much more comprehensive. In deciding Irish Water is a non-market entity, and must stay part of the government accounts, Eurostat says there is considerable Government control over Irish Water, in particular over board appointment, operations and pricing. 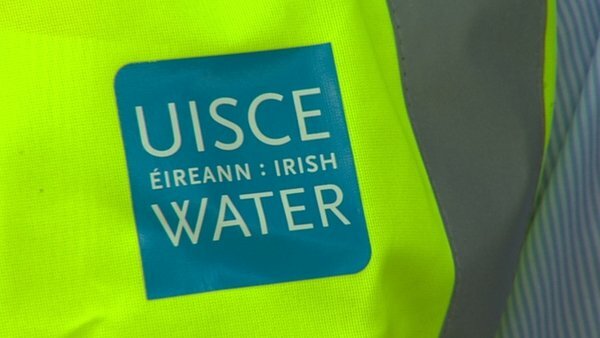 It says Irish Water merely re-organises previously non-market activity carried out by local government, and the company needs significant and continuous government funding. It says Irish Water lacks economically significant prices - in particular it has expressed concerns at the capping of prices to households. These funding problems are, Eurostat says, further amplified by the high number of households not paying their water bills. Minister for Finance Michael Noonan has said the ruling will make no statistical difference to the next budget and make no difference to Irish Water's customers. He said that in its Spring Statement, the Government assumed the cost of Irish Water would be on the Exchequer balance sheet so the budget situation remains unchanged. Speaking on Limerick's Live95FM this afternoon, Mr Noonan said that although the ruling was "embarrassing" and would cause controversy, it does not change the budget position. Mr Noonan told Limerick Today with Joe Nash that the plan to keep Irish Water off the Exchequer's books was "an added advantage when it was being set up if it could happen". However, he said the plan was formed at a time when the Government finances were not as good as they are now and that "things have improved very rapidly over the last 18 months". He added: "Because the national accounts have improved so much, while the announcement is embarrassing and is going to cause more controversy around Irish Water, in terms of the budget position it doesn't reduce my space to give modest extra spending increases to [Minister for Public Expenditure and Reform] Brendan Howlin and to give reasonable tax reductions on personal taxes. I still have the space of €1.2bn to €1.5bn." Minister for the Environment Alan Kelly has said the Government, at the earliest opportunity, will look to have the decision by Eurostat reviewed. He told RTÉ’s Six One that he disagrees fundamentally with some of Eurostat's analysis. Minister Kelly said the CSO, an independent body, has issues with some of Eurostat's comments and analysis in connection with the structure, funding model and the role of local authorities. Minister Kelly said he will work with the CSO in challenging some of the findings. He said the ruling does not not change anything from a budgetary perspective. The Minister said Irish Water should be off balance sheet, reiterating there is no other alternative to the utility. 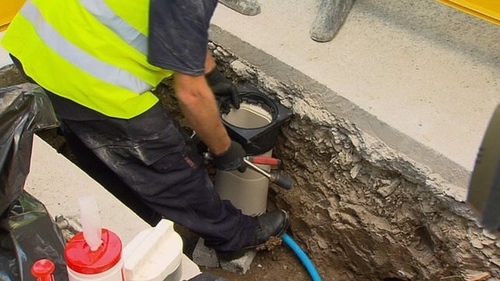 However, Opposition figures have called on the Government to scrap Irish Water after the ruling. Anti Austerity Alliance TD Paul Murphy earlier described the failure of Irish Water to pass the market corporation test as a body blow for the utility and said it was now time to call a halt to the project. Speaking on RTÉ's News at One, Mr Murphy said that the Government must now scrap it. "The writing is now on the wall for the Government on this issue, it really is, they really should just accept the reality that it's finished, they're not going to get this through, there's no way that people are going to pay it. "In reality non-payment figures will likely rise in the next billing period and if this Government isn't forced to abolish, the next Government certainly will." Mr Murphy said the real cost of abolishing Irish Water is minimal and anything that is useful, such as investment in proper water infrastructure could be continued. He said the money that has been spent cannot be recovered but "they could stop throwing more and more water down the drain that is Irish Water". Sinn Féin spokesperson on finance Pearse Doherty said his party predicted last November, when the Government introduced its charging regime for Irish Water, that it would fail the market corporation test. Speaking on RTÉ's Today with Keelin Shanley he said Sinn Féin saw it coming. "We said we believed that it would fail the market corporation test on three grounds - one is that the subsidy to individual, so-called conservation grants, which would be seen by the Commission, and more than likely by Eurostat, also as a direct transfer to Irish Water via households; the second is that under Eurostat rules you need a company to be established for a number of years with the charging mechanism in place before you can deem it off balance sheets; and the third one is because of the level of non-payment that they would fail to meet the 50:50 rule." He reiterated that the alternative being put forward by Sinn Féin is to scrap water charges and pay for it through direct taxation. He also said that changes need to be made in relation to borrowing. "It makes no sense that we are allowing Irish Water to borrow money from high street banks, millions of euro, in the name of the taxpayer. They have already borrowed €850m at high rates." Fianna Fáil spokesman on the environment and local government Barry Cowen accused the Government of incompetence over Irish Water. Speaking on RTÉ's Morning Ireland he said the Government was "throwing good money after bad". Mr Cowen said the Irish public was ultimately "left with the bill and the worst of both worlds" if Eurostat rules Irish Water is to stay on the Exchequer balance sheet. He said the whole process of Irish Water should have been "abandoned" after it was announced last November that full water charges would not be introduced. Mr Cowen said the EU has seen Irish Water for what it is - that there are "grants on the one hand and bills on the other". He also asked what level of interest Irish Water is paying on borrowings if it is to stay on the balance sheet and criticised the Government for not revealing the interest rate. Mr Cowen said a cheaper interest rate would have been available from the NTMA. People Before Profit Alliance TD Richard Boyd Barrett, who is on the steering group of anti-water charges campaign group Right2Water, said the expected decision "has exposed the ludicrous financial structure of the water utility and removed yet another of the claimed reasons for its existence". He added "the Government should now end the Irish water fiasco, abolish the water charges and dismantle the failed entity that is Irish Water". He said that the ruling should give further confidence to the campaign of opposition and boycott against water charges that water charges could be defeated over the coming months. Social Democrat TD Stephen Donnelly called on the Government "to immediately cease the water charging scheme, and to conduct, with parliament, an open and transparent review of the financial model for Irish Water". He added: "Today's ruling by Eurostat is the latest serious fumble by this Government on Irish Water. As the additional investment under Irish Water is just €200m a year, the off-balance sheet approach at the heart of Eurostat's decision was never needed - nor were the water meters, nor was the water charge."